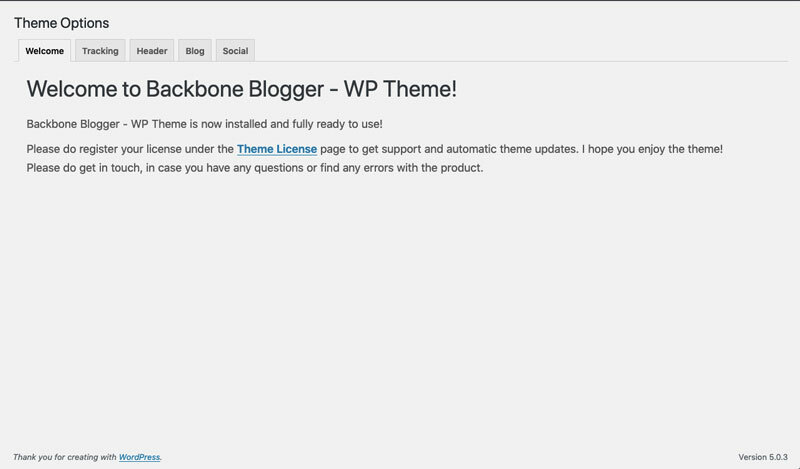 I recently started a new blog project on my own, and it was a no brainer to use the Backbone Blogger – WP Theme I developed. Getting a bit more of hands-on experience with the theme, I ran into some problems and features I would like to have myself. That quickly ended up with me spending the next 10 hours in front of the screen, trying to solve my own issues and desires. At this very moment, I’m still testing a few features before releasing the big 2.0 update. I’m very happy with the result myself, and can’t wait to share it with you all. 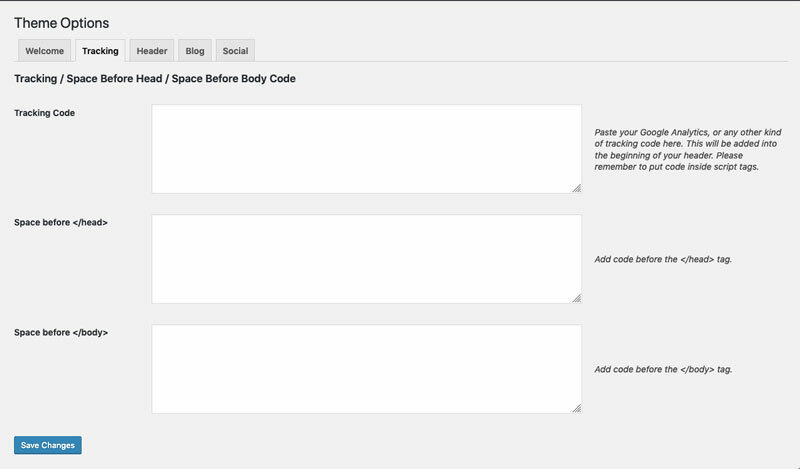 Since I’ve decided to extend the theme functionality, it was an easy decision to extend the Theme Options Page. When you click the Theme Options link in the menu, you go straight to the Welcome tab instead of the Tracking tab. I am introducing 4 new tabs including the Welcome tab. 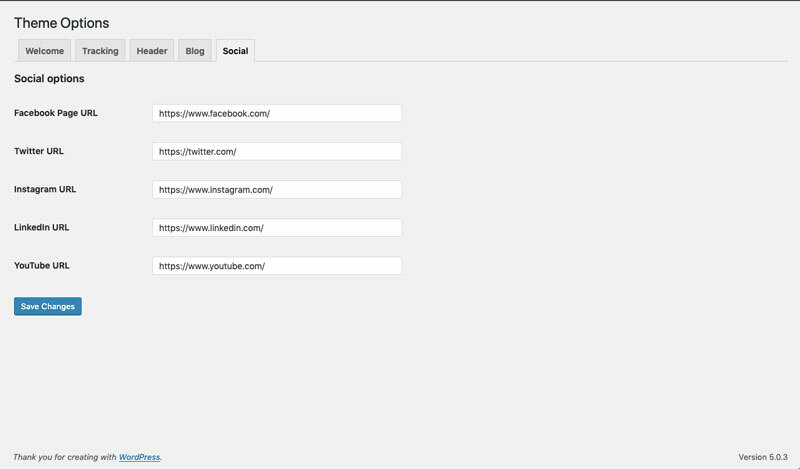 You will now also find the Header, Blog and Social tab next to both the Welcome and the Tracking tab. The good ol’ Tracking tab has gotten a new setup, so that the Google Analytics field always will be displayed at the top of the <head> in the code. The other fields works the same way as the always have. 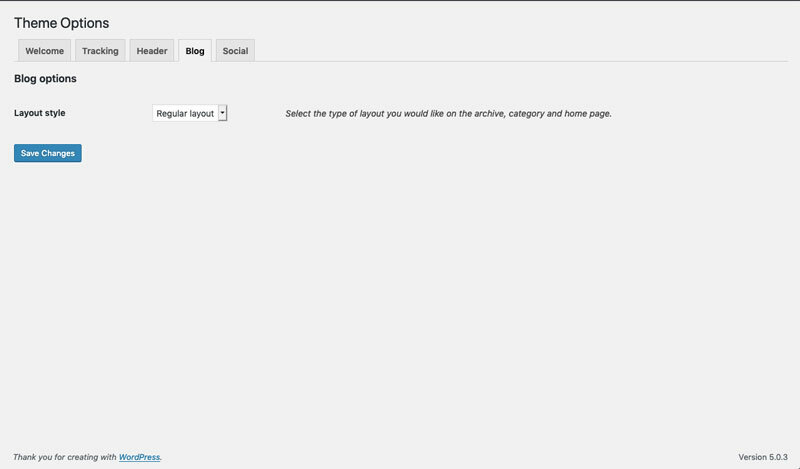 The new Header tab will introduce two dropdown options. Left side and Right side. 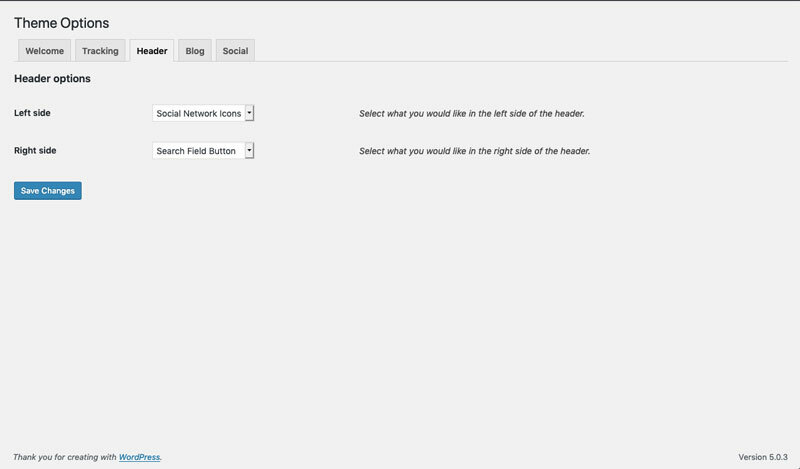 Here you will be able to select, what feature you want to display next to the logo in the header. You can select between a login button, Social media network buttons, a search field button or nothing. You can in total select two. One for each side. I figured that I needed a layout option for the archive, category and home page, where you can also see the post thumbnail. For that I have created a boxed layout. The boxed layout is fitted inside sleek light grey border, with a white background, rounded borders and a thumbnail shown on the left. The previous layout has been given the name Regular layout. 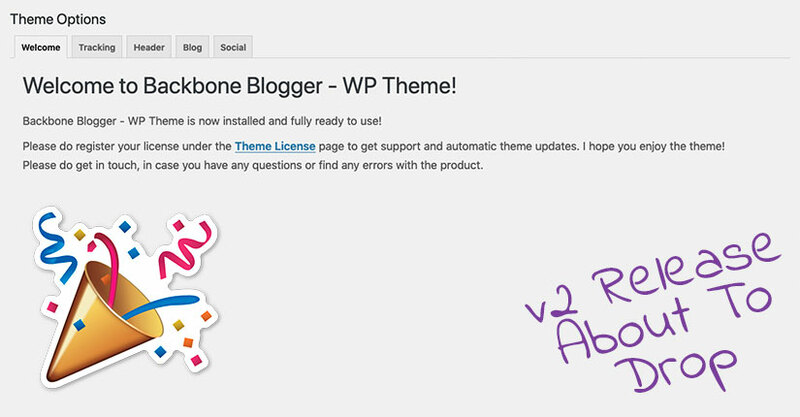 You can choose between the two in a simple dropdown on the new Blog tab in Theme options. The Social tab is also new and is currently a support for the Header tab. If you select a side to display Social icons, you can put in the links on this page. To start with you can type or paste in a Facebook, Twitter, Instagram, LinkedIn and YouTube URL. Missing string translated on Category page. Navigational menu is now transparent. 100% translated in to Danish. 100% translated in to Estonian. Recent post widgets display the date under the Title instead of next to. Code clean up in several of the theme files.